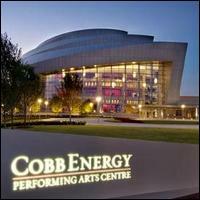 One of the most prolific American storytellers of all time, Garrison Keillor will perform at Cobb Energy Performing Arts Centre on March 9. He’s a writer and humorist best known for his popular live radio variety show, A Prairie Home Companion, which attracts more than four million listeners on more than 600 public radio stations each week. Keillor is also the host of the daily radio and online program, The Writers Almanac, and the editor of several anthologies of poetry.